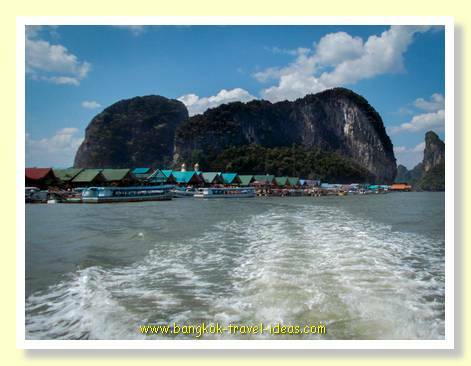 Visitors to Phuket should make sure they take a trip to James Bond Island to explore the beauty of the local rock formations. Made famous by the James Bond movie; The Man with the Golden Gun, the mushroom shaped stone is where Scaramanga hid the solar energy collector. 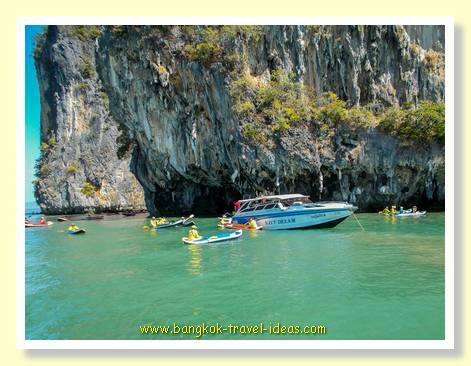 Once you get there it is clear to see that the rock rising out of the ocean is an attraction for many Phuket tourists and why it forms a component of the many day trips running from Phuket. 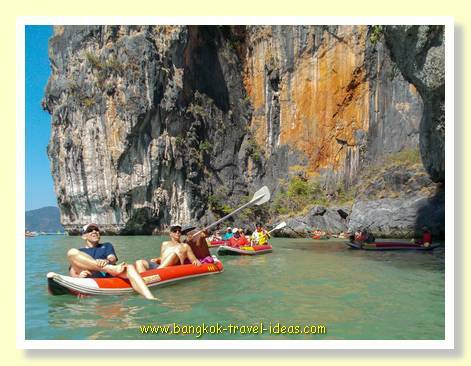 The pricing of the day tours is based upon where they take you and also the speed of the boat. 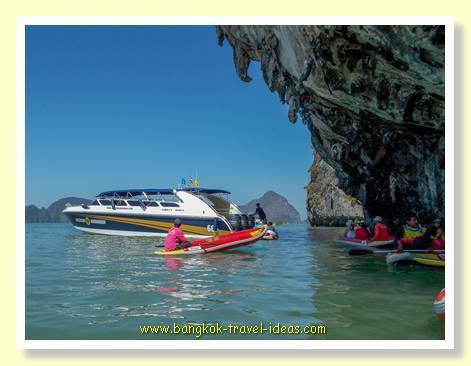 Bear this in mind when you try to save money on your day trip to James Bond Island as you may spend more time sitting on the boat than visiting the actual destinations. 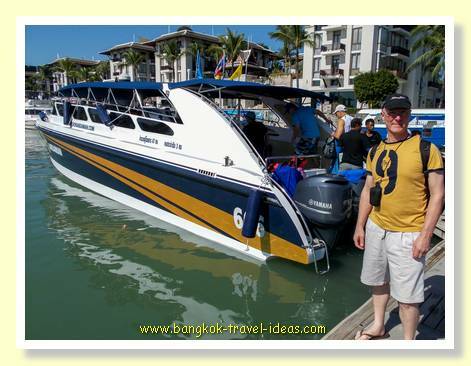 The tour we booked left from Phuket Marina and the boat was fitted with three 250 HP motors and had room for about 20 people. 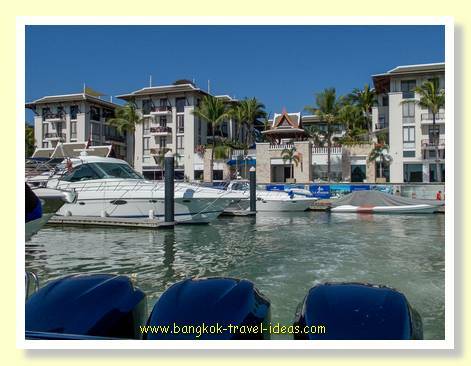 The tour started at around 9:00 am when we left the Phuket Marina for the days' outing. As the boat left the jetty we got a great view of the on-site condominiums, ideally located for those with large yachts and sail boats and a thick wallet. 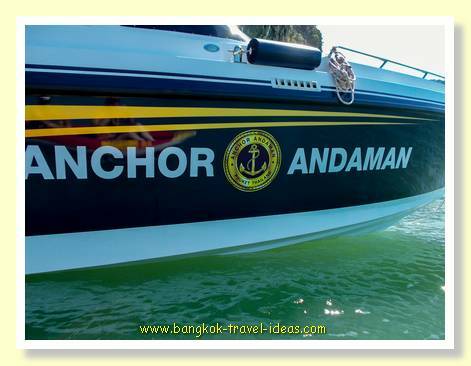 The speedboat left the jetty quite slowly, passing the mangroves on either side until we reached open water. Once in the open water the captain opened up the throttle and we rode on top of the waves watching the scenery flash by. 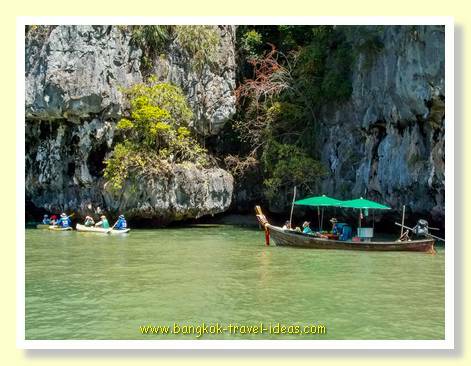 After about 20 minutes we started to see the first of the limestone formations that the area is known for and as the boat got closer and the speed reduced to a crawl we noticed small kayaks waiting in the shadows of the cliffs. The boat came to a halt and the kayaks gathered around our boat. The next step was a little tricky, as we delicately transferred ourselves into each kayak in turn. 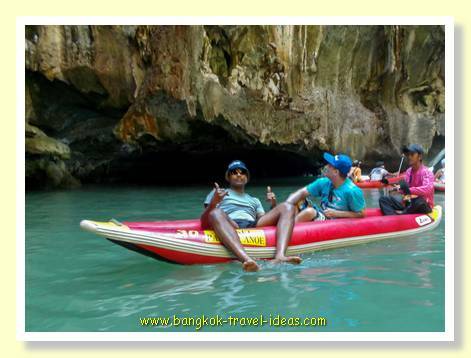 Once safely on board a team of guides paddled us around the limestone formations in small kayaks. There were three people to a kayak and they paddled us carefully from cave to cave. Some of the caves were so low that we had to lay flat to fit underneath the archway and taking care not to bang our heads on the rocks took some concentration. As well as our group there were people arriving on other boats to enjoy the same experience. 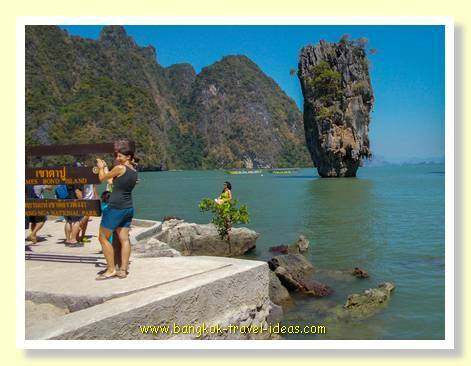 From this location we went to James Bond Island with the obligatory photo opportunities. 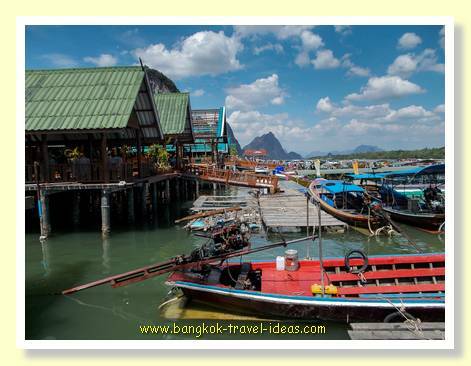 Boats take it in turn to berth at the small jetty so the passengers can be offloaded. 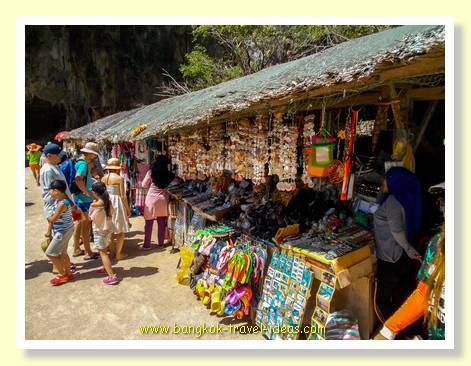 This area of Thailand is inhabited by Sea Gypsies and there was a small market set up on the island selling everything from wind chimes to t-shirts. The store ladies liked to grab your arm and drag you into their little shop to marvel at their t-shirt collection and insist you make an offer to buy one. With calculator in hand and t-shirt in the other the starting bid is from around 800 baht for a shirt that should cost 140-200 baht. 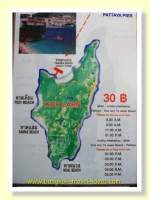 As I said, Phuket is not cheap and if tourists continue to pay ridiculous prices for things then prices will stay high. We only had a short time on the island, just enough to walk to the other side and take a few photographs. 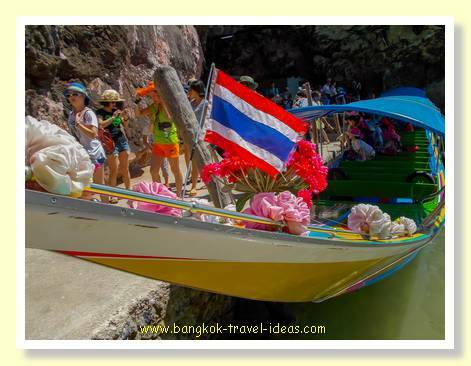 The paths were narrow, the place was packed with people but it is something to do and tick off your bucket list or even better it lets you tell your friends or anyone who will listen, "been there", whenever the photo of James Bond Island appears on the television. 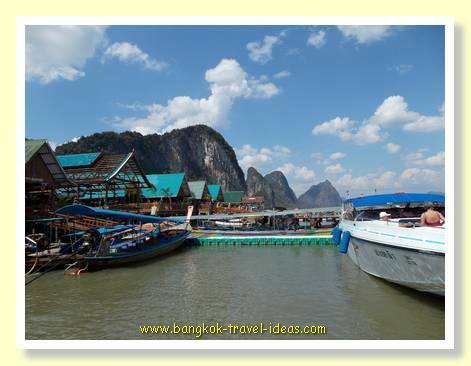 After departing from James Bond Island we headed for lunch at the Sea Gypsy village. The village is located totally on a network of planks and supports and is where a community of Moslem sea gypsies live their life. 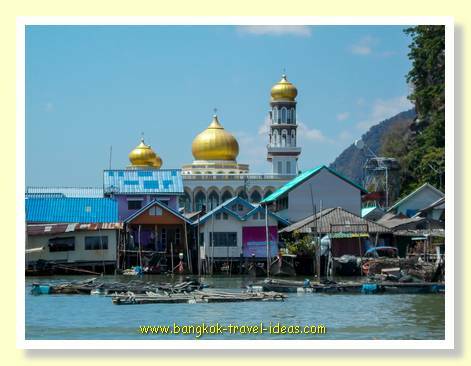 As you approach, what stands out is the large Moslem temple towering over the small tin roofed huts with a maze of alleyways between them. We stopped and had a traditional Thai food lunch and then wandered around the alleys looking for bargains and trinkets to take home. 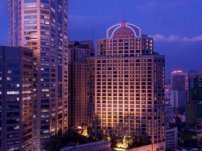 Of course everyone is after the tourist dollar and anyone that has an edge or unique proposition is going to do well. It is always great to see someone come up with a unique value proposition and especially one that is not easy to replicate. There was a guy there that had two tame Sea Eagles that he had hand reared and was now using as photo opportunities with tourists. 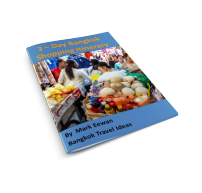 For the princely sum of 100 baht the birds would perch precariously on shoulders and heads and the photographer would take the snap. 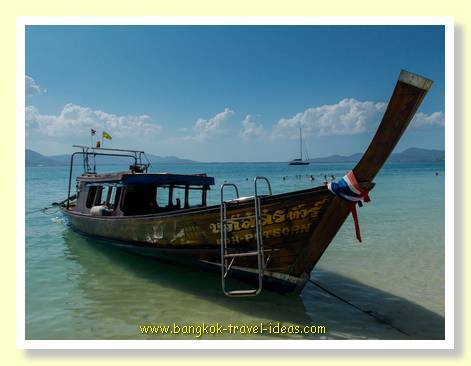 A great little business turning over hundreds of baht each time a tourist boat landed and the photo could be collected after eating or emailed to your home address. 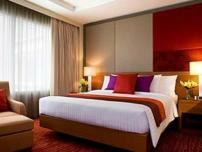 As often happens when you are in a large group of people with a strict departure time there are always the laggards. This time was no different and four people claimed to have got lost in the alleyways that created a maze between the shanty type buildings and they ended up at another pier. They could see our boat but couldn’t work out how to get back to it. They could have jumped in the water I suppose and swum to us. Delayed by 15 minutes we set off on the return journey at full speed to our penultimate destination. On the way back to Phuket Marina we stopped at a private island to have a cool beer or a game of football for those young enough and with energy still to burn. I chose the beer and grabbed one of the deckchairs. 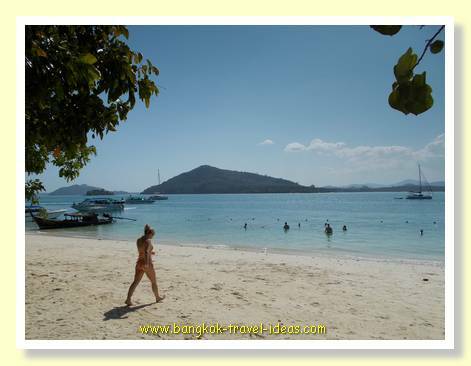 The sand was beautiful and soft and the place was idyllic sitting under the low hanging trees on the shoreline. 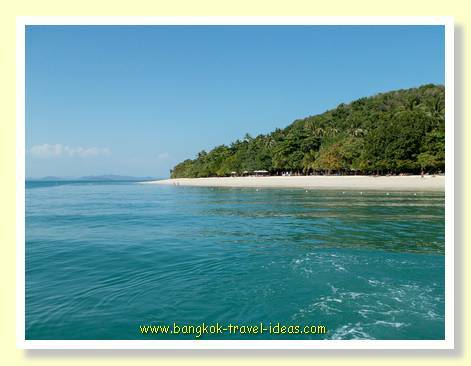 I am not exactly sure the name of this island, but it would have been a great place to live; close enough to Phuket to experience civilization and yet far enough away to have solitude. After an hour or so it was time to finally head back and the island was only about 20 minutes from the Marina and then it was back onto the coach and off to the hotel. And that could have been the end of the day except for the fact that after about 20 minutes on the way back to the JW Marriott hotel, the fan belt broke and the coach lurched to a stop by the side of the road. 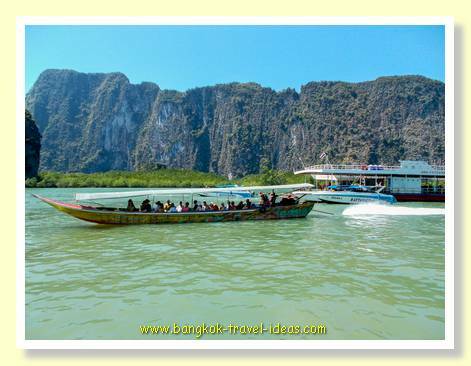 We were at some place after the Phuket International Airport turnoff in the middle of nowhere. Fortunately there were plenty of taxis driving by and we all managed to get a cab ride back to the hotel.